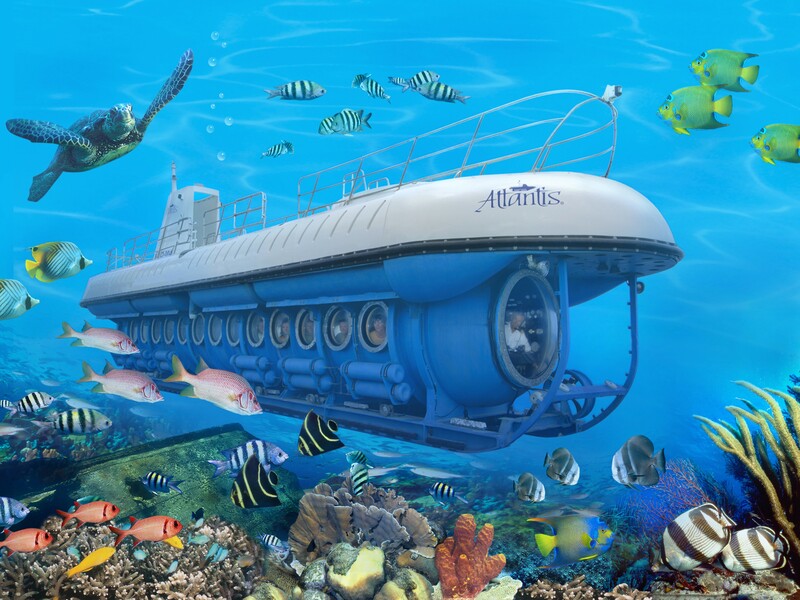 Atlantis Submarine: The Atlantis Submarines Expedition Tour begins at the Adventure Center in downtown Oranjestad where you will take a short transfer to the submarine onboard our shuttle vessel SubSeeker. You will have the opportunity to get an up-close view of exotic marine life while diving to depths up to 130 feet. Be amazed by colorful schools of tropical fish, huge sponge gardens, the mystical beauties of the coral fields and two sunken wrecks. SeaWorld Explorer semi-submarine: The SeaWorld Explorer Semi-Submarine is a state-of-the-art semi-submarine developed in Australia for use on the Great Barrier Reef. This unique vessel does not submerge. You step down into the hull of this cruising underwater observatory and sit in air-conditioned comfort just 5 feet below the water's surface, viewing amazing Aruba sea life through large clear glass windows. Visit our retail store where you can find the popular brand Biba Dushi, which means 'Living the good life' in our local language Papiamento. Biba Dushi casualwear for men, women & children makes for a wonderful memory of Aruba. Here you'll also find high quality beachwear and souvenirs.